The client truly enjoys its natural surroundings, with its natural green context, with site plants which he uses for his own work. 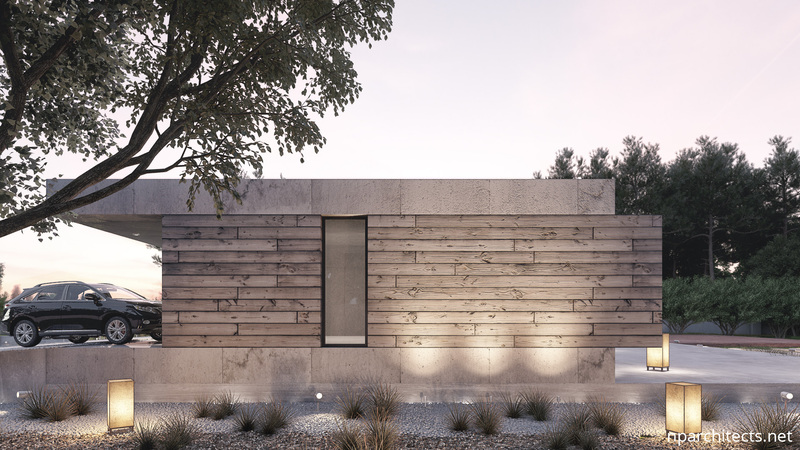 Approaching from the road, suddenly appears a long simple facade, gently floating above a existing slope, between the trees. 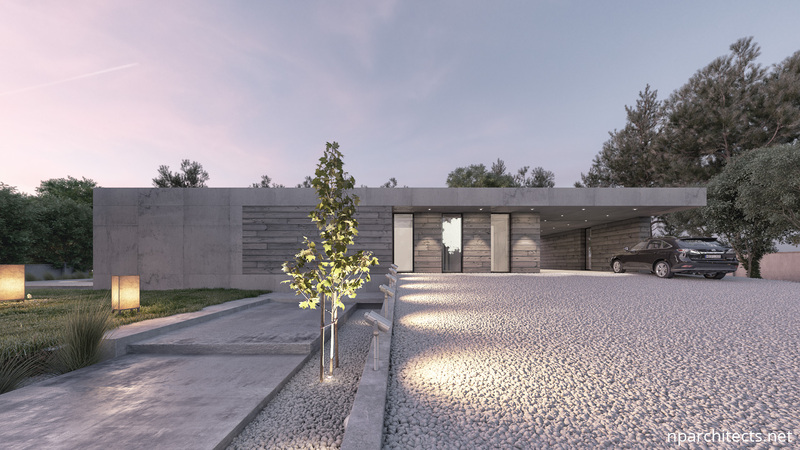 One of striking details of the house first impression, as the observer approaches, is a passage, which represents a two parking spaces garage. 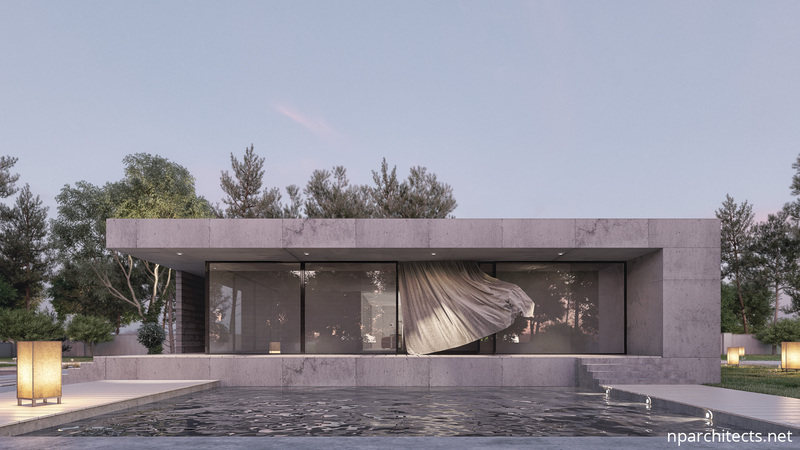 The facade is composed with a exposed concrete, wood panels, and it has partly transparent volume which serves as a daytime space including living room with dining room and kitchen, which continues to outdoor pool. 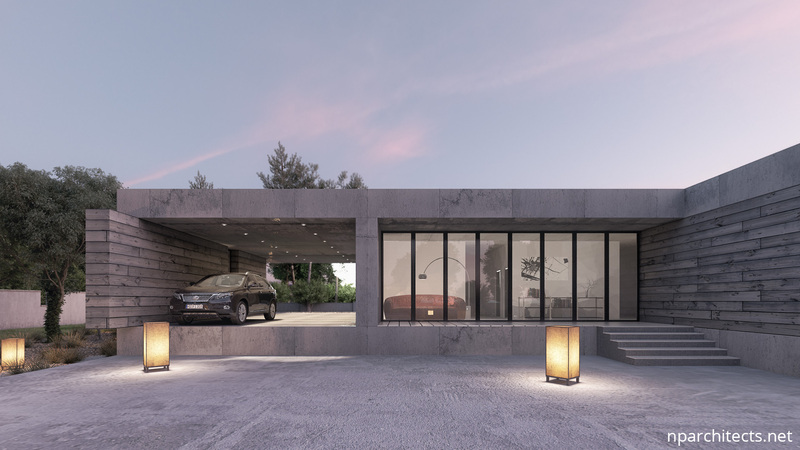 The reinforced concrete cantilever structure of the wall and ceiling slab, allows for a big room with no columns. The frameless glass makes this a special open space that is completely invaded by the exterior nature. The living space gallery becomes a true “stage” for the client, while the exterior green landscape transforms into a perfect background setting. 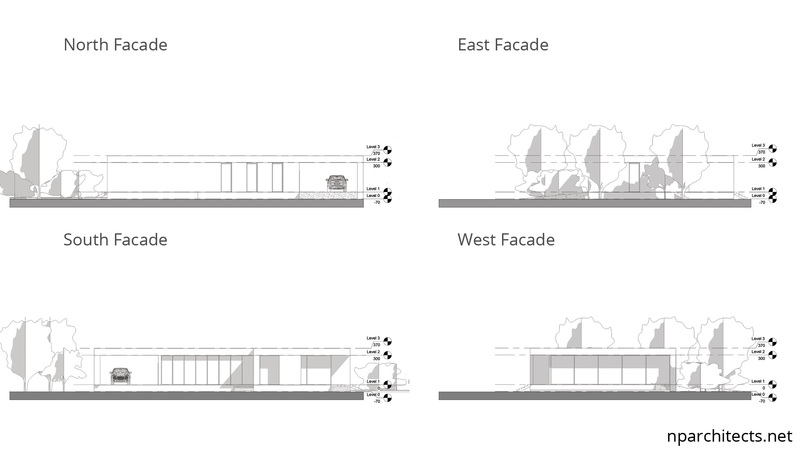 Also high trees in the area sight gives natural shading and reduce direct sunlight to living space of the house. 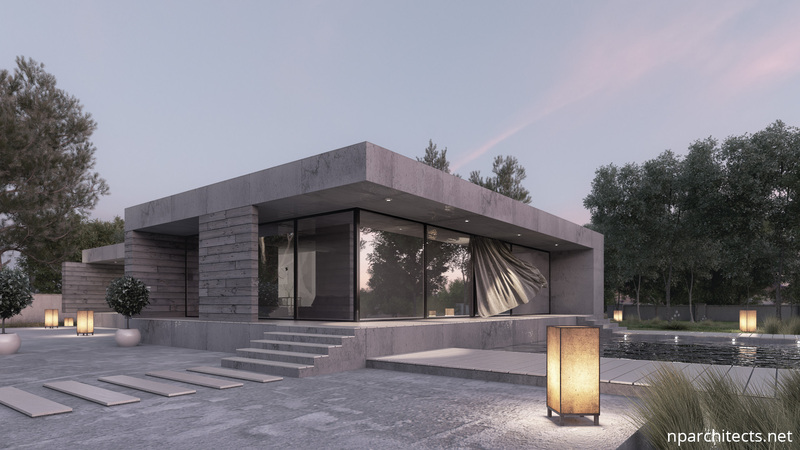 Other transparent volume of facade includes entering hallway with concealed corridor to night residency part of the house. Bedrooms, dressing area, and bathroom are located in the more private areas at the rear of the building. For interior walls is used white stucco, and the terrace was given the same finish as the interior space in order to make this a continuous space. 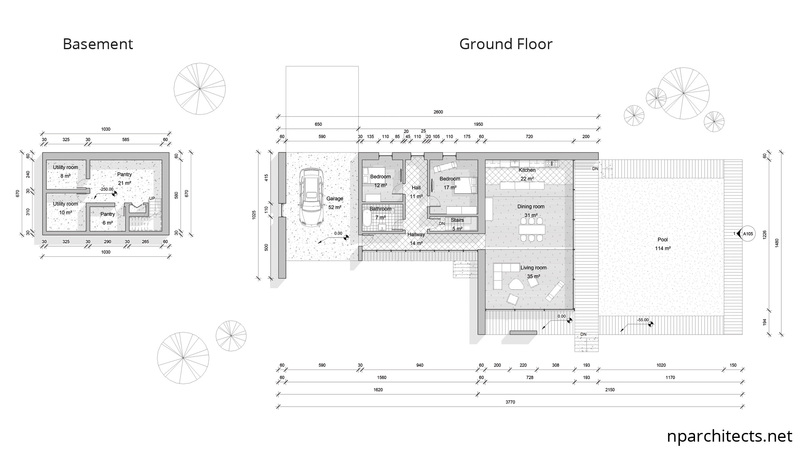 The house has an area of 310 square meters on a site of 18 acres.